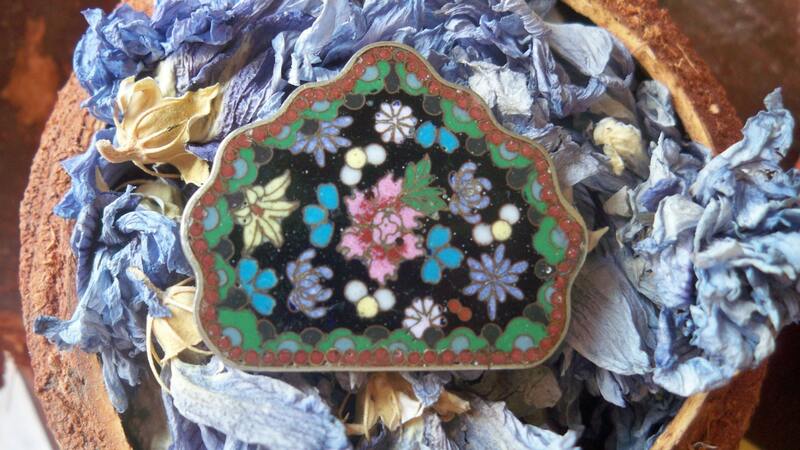 Rare Antique 1900's Authentic Floral Micro Mosaic Buckle - Ceramic inlays .French Art Nouveau - Handmade . 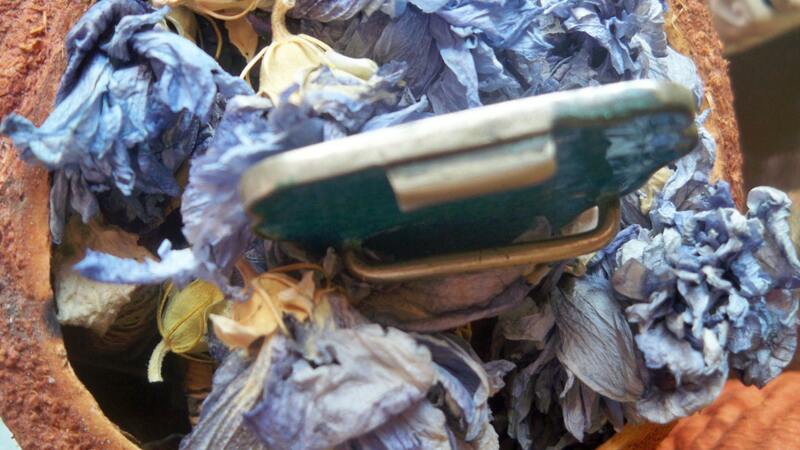 Blue Turquoise tone enameled on the backside. 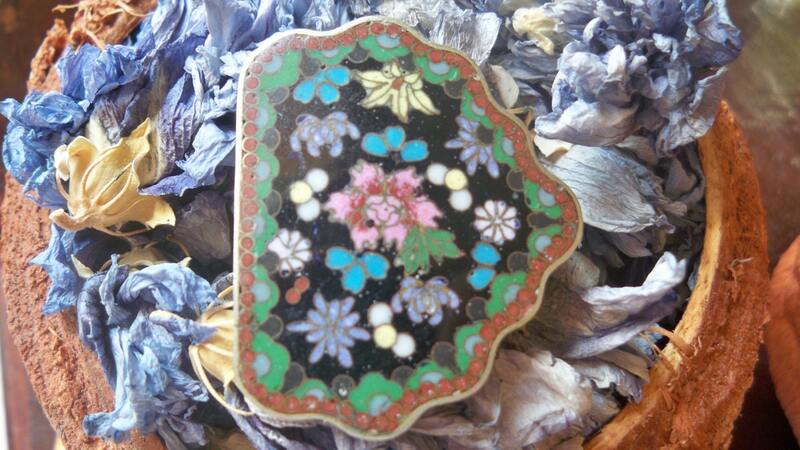 Black color with multicolored inlays : pink, blue, purple flowers, green leaves, white, yellow and brown Heavy worked. 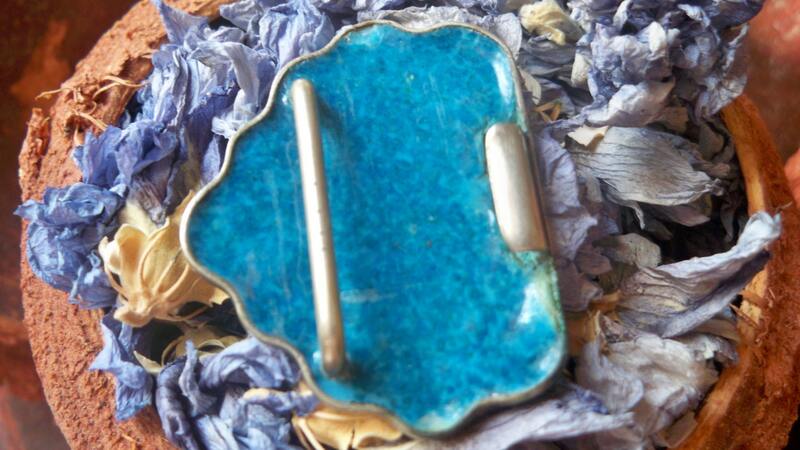 Size : 1,6 X 1, 6 in. 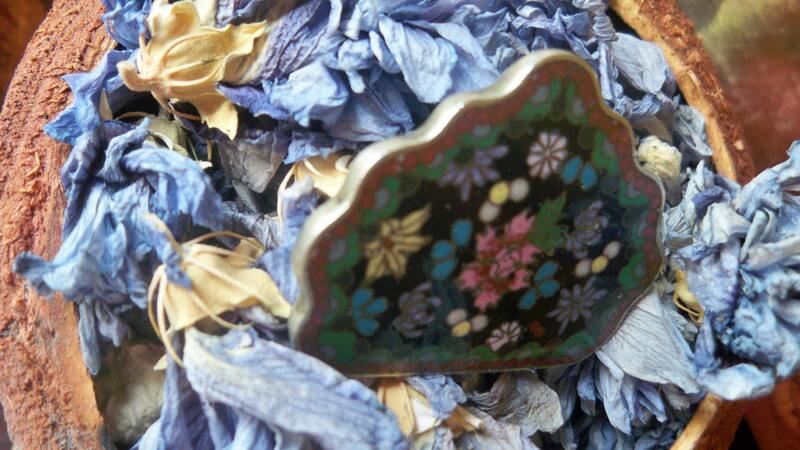 Rare Antique Micro Mosaic Jewelry Buckle !